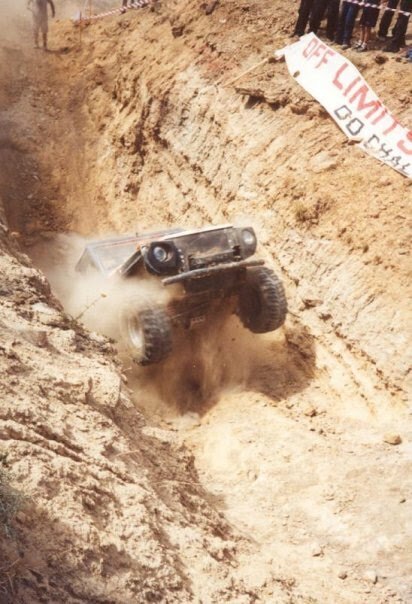 In 1993 Soly won the first off road competion held in Lebanon in Fakra , and till now participated in almost every competion in Lebanon, wether it is Rallies or Trials. Andre Zovighian was the co-pilot during the 93-98 period. Philippe Abboud is currently the co-pilot and a very important member in the Benziteam family, Philippe has been working on improving the G-Wagen performance and designed several G setups.The lack of sponsorship did not stop Soly & Philippe from leaving the middle-east in 2002 to participate in an international competition ,and decided to go for the MASTER RALLY which is the 2nd most important Off Road event after the legendary PARIS-DAKAR, this project had to be self-financed and Benziteam headed to Russia in August 2002 (St.Petersbourg). They were the first Lebanese team to participate in an international off road event.Their goal was to finish the 5700 kilometers rally and they did with a respectable position. In 2007, Benziteam went to Malaysia for a different kind of event this time: The incredible Rainforest Challenge saw 2 Benziteam vehicles, both finished the awfully difficult edition of 2007.